A comprehensive patient-centered Care plan is crucial to coordinating care across a large population. Explore how we simply this complex task for your team. Care Coordination revolves around a comprehensive patient-centered care plan. Regardless of which Medicare programs you participate in, the one commonality is a patient-centered care plan. 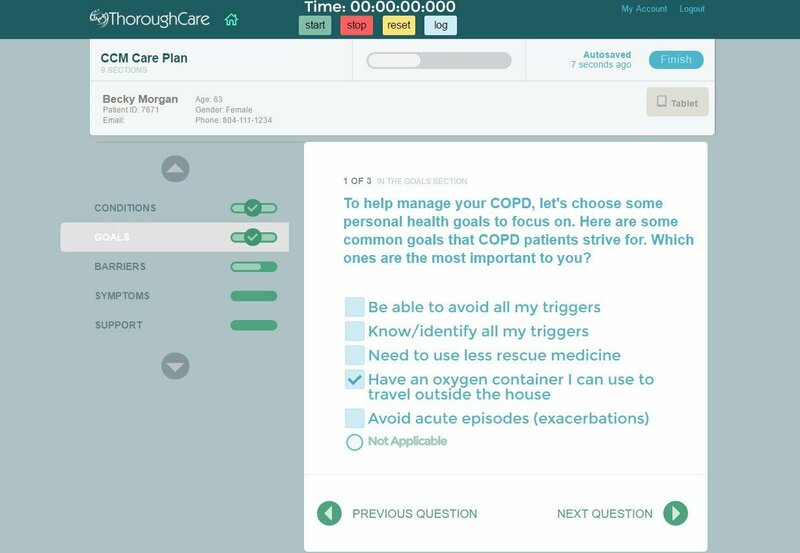 We believe the care plan should be consist of goals that are important to both the patient, care team and provider. Keeping the patient motivated and engaged is critical. Each month, the care team should focus on finding areas of improvement. If this is done correctly, the patient should experience improved health outcomes while the organization sees improved quality scores. It's truly a win-win scenario. A Comprehensive patient-centered care plan is designed to keep the patient engaged, resulting in positive health outcomes. For these groups, managing the overall risk of your population is critical to achieving shared savings. Your care team should be able to prioritize care based on patient risk. For practices participating in these programs, you're paid in advance to manage an attributed list of patents at various risk levels. It's crucial to manage and document the care coordination that these patients receive on a monthly basis. Performing Care Coordination activities is leads to improved quality.